Are you a parent or caregiver of a baby or toddler? Looking for a way to bond with your child, while still living your life? Ever wish you had another set of hands? Do you have a babycarrier, but haven’t had much luck using it? Do you need help finding a baby carrier that’s right for you? Fee: $25 per person / $35 per couple of parenting or care-giving partners. Please visit the Amita Health website to register. Visit the event pages on Facebook: June 4th, September 18th. Feel free to bring any carriers you have — and your baby! 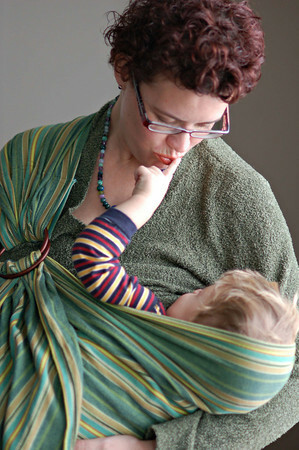 I offer babywearing instruction as either a private session or a group workshop. If you would like information on my availability, please contact me at yourdoulachristine@gmail.com or at 708.743.9024 or via the contact form.